I bought the kit for my 2015 Ford Explorer Sport, and it arrived within 2 days. I installed it in about an hour. The kit is definitely DIY friendly, but removing the trim panels can be an adventure. The hardest part was getting the USB hub replaced as getting access to the wiring down there is difficult. Once installed, the unit booted up as expected. With my VIN number, they had programmed everything to my vehicle's specs, and everything worked -- heated seats, A/C seats, heated steering wheel, rear climate controls, and backup camera. The unit took a little while to acquire and sync up the GPS data. Android Auto and CarPlay work great as well. The only reason I did not give it 5 stars is that my dash instrument cluster lost two abilities. 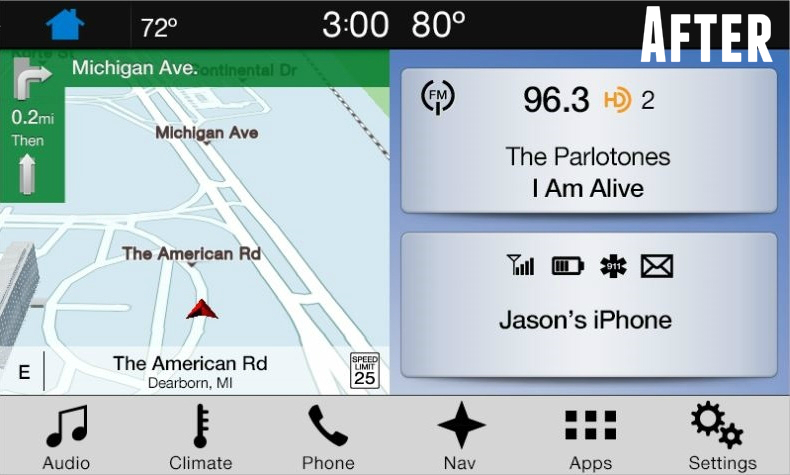 The navigation section no longer sees street names and speed limits, despite the replacement unit having the additional factory navigation option. I had asked about that before buying and been assured it would work, but it does not. The entertainment section no longer detects when devices are connected via Bluetooth and USB. That means I cannot switch to those sources from the steering wheel anymore. Neither of those are huge losses in the grand scheme of things, and the responsiveness and additional functionality more than make up for them. [4D Tech] Philip - Thank you for your review. There was a misunderstanding about the street names, etc - they do work in an active route. As for the sources missing from the source list, we have better documented that on the listing for future buyers. Once again, thank you for your business! Ordered online. It shipped immediately and arrived quickly - very well packaged in several inches of foam. Written instructions were Ok, but the YouTube video showing the exact process was perfect. Installation took about 30-40 minutes at a very slow and careful pace. Started up and worked perfectly. This was a major upgrade to the Sync 2 system, and Apple Car Play brings my 2014 up to the same level of tech that I'd want out of a new Explorer. Great customer service too - they called within minutes of receiving my order to respond to a question I raised in the order comments section, and the system came preconfigured with my VIN so no dealer visit was necessary. 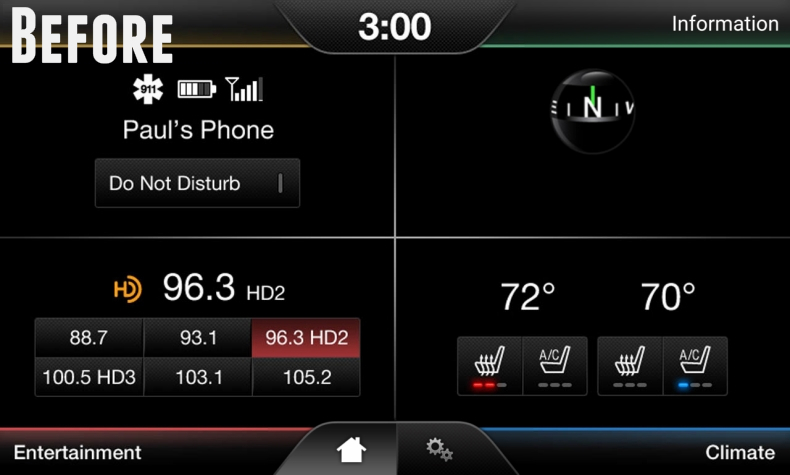 I have a 2014 Ford Explorer that had the factory Sync 2 unit and after replacing it with the Sync 3, it's a total game changer! Much more responsive touchscreen, I can use Android Auto, and the cleaner interface makes my vehicle feel brand new all over again! Worth the purchase! This was a great purchase, I started to fallout of love for my 2014 Ford Explorer until I got this upgrade and now it’s like I have a whole new car!! Easy install and well worth the investment! Upgraded my 2015 Explorer and am extremely satisfied!! Truly plug n play! Watched the videos and it only took 30 minutes! Thank you 4DTech!! My Sync 2 was killing me, screen became so inaccurate it was unusable. Replaced it with Sync 3 from 4DTech and could not be happier. The instructional videos made installation a breeze. 30 minutes from start to finish including the included hub replacement. Absolutely love this upgrade. Thank you 4DTech! I no longer want to drive my Sport off a cliff every time I have to get Bluetooth audio working! Sync 3 is such a huge upgrade. And 4dtech made it super easy, with great instructions, excellent packaging and fast service. I agree that the force required for the side trim pieces seems scary at first, but just be slow and firm and it's really a very easy swap. Just completed changing out my 2016 Ford Explorer's MSFT Sync 2 MyFordTouch to the Sync 3 w/Nav system I purchased last week from 4Dtech. Scott made it look easy to pull the side trim pieces from the 2015 he used for the video. In reality, that was my most challenging and difficult part of the install. This is truly a plug & play install although the adapter cable they provided for the new USB hub to enable Apple Carplay wasn't needed at all. While pricey, in my mind, well worth it to me to have a system that is less likely to freeze and that will continue to be updated and improved. As far as I can tell, there will no longer be any support for Sync2 systems since Ford & Microsoft have terminated their relationship. Excellent customer support and answered all my pre-install questions.